Last month while watching television I stumbled across a panel discussion from September 2006 titled, “Do the Media Understand Poverty?” A collaborative effort by Twin Cities Public Television and the Northwest Area Foundation, this symposium was held in St. Paul in the wake of the first anniversary of Hurricane Katrina. Featuring economic scholars and journalists from the likes of the Seattle Post-Intelligencer, The Economist, Minnesota Public Radio, Grand Valley State University, and the Columbia University Graduate School of Journalism, the conversation centered on a number of critical questions relative to how the American media reports on poverty and related-issues. Among the angles discussed were the limitations of the left vs. right discourse on poverty, the one-dimensionality of most reporting, and how stories on poverty are almost always event driven, data focused, or isolated human interest pieces that never attempt to get at the root causes of poverty.Since this event took place over a decade ago, my first inclination as I listened to the panelists was to compare and contrast how the media covered poverty in 2006 as compared to today, particularly in the years following the Great Recession. I was also curious for them to discuss how the media looks at poverty in relationship to how the general public sees these issues. Both Paul Nyhan of the Seattle PI and The Economist’s Sam Western referenced one of the quotations I cite above from former New York Times columnist and two-time Pulitzer Prize winner Russell Baker. In the spirt of this quote and its implication that journalists simply don’t care that much poverty or the poor, Nyhan provided an unsettling addendum. While speaking of his year-long newspaper series “The Plight of Puget Sound’s Working Poor,” Nyhan expressed his dismay that people didn’t seem to care about these issues as much as he thought they would. 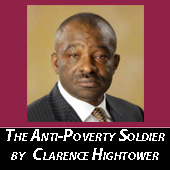 This point was followed by introduction of survey results that painted a telling picture with regard to how Americans view poverty versus other western industrialized nations. This survey revealed that Americans generally see these issues as a matter of “personal responsibility,” while Europeans, for instance, are more inclined to believe that poverty is a “systemic” or “structural” problem. Two stories that stood out to me both came from Minnesota Public Radio’s Kerri Miller. A few years prior this event, while a reporter for Kare-11 News, Miller spoke to our state’s staggering 2003 budget deficit and how it would affect vital programs. She notes that the only thing that seemed to matter in the media at the time was whether or not there would be a budget bill for a new Twins stadium. Miller also referenced a call-show she hosted from a few weeks earlier where listeners shared their views on race, class, and the aftermath of Hurricane Katrina. About a half-an-hour into the show, Miller said that she received a call from someone who “couldn’t understand what the problem was,” callously stating that they don’t know anyone in Minneapolis who doesn’t have a car and couldn’t escape the city in the event of a disaster. To her chagrin, Miller noted that this caller effectively “shut-down” the conversation, which then devolved into more of the same. What does this type indifference and lack of understanding say about us as Americans? As Minnesotans? As human beings? Although the extent of discourse around poverty has clearly increased in the years following the financial crisis of 2007-2008, I am not convinced that media coverage has changed all that much. It still seems as though poverty stories increase after monumental events, but as those events fade from our memories so too does the discussion about poverty. Of course, there is a generally a spike in coverage each fall when the U.S. Census Bureau releases its latest American Community Survey. But again, those stories are fleeting. The human interest stories that celebrate someone for “beating the odds,” while inspiring, still relegate others to the margins of society.The left/right division still exists as well. Conservative think tanks such as The Heritage Foundation claim poverty is not nearly as bad as reported, while sources such as The Oregon Center for Public Policy suggest that it is much worse. Perhaps author Shannon Ridgway says it best when she describes the “four problems” in the way the media, and others, still seem to portray those living in poverty. She writes that the media “depict the poor as invisible; as statistics; as poor due to their own life choices; and as temporarily down on their luck.” Seems as though things haven’t changed all that much.